Corner unit with extra windows to capture that ever-so amazing view of Copper Island and beyond….extra upgrades in the kitchen include stainless steel appliances, rich granite with an eating bar and spacious dining area that opens up to a large deck for outdoor living with a plumbed in BBQ. The living room is bright and airy with lots of windows and features a corner gas fireplace faced with slate. Upstairs are 3 bedrooms, with the master bedroom having a lakeside private deck and ensuite. This desirable end unit comes with large boat slip and buoy. PRIME CORNER UNIT close to Lake. A/C. Best Views. Private Dock and Boat Slip. Boat Launch next door. Parking for 1 vehicle in complex. Extra Parking close by along Park fence on Ashe Rd for vehicles / boat trailers. Visitor parking may be available. Kitchen equipped with cutlery, utensils, pots, pans, measuring cups, collanders, mixers, blenders, knives, soaps, paper towels, dish cloths – towels, foil, barbeque utensils, can openers, accessories, cups, glasses, plates, bowls, Brita Jug, measuring cups, spices, salt, pepper, coffee grinder, coffee filters, coffee maker, 4 slice toaster, cutting boards, roasting pan, graters, dishwasher / laundry soap, spatulas, scissors, measuring cups, funnels, cork screws, etc Blow dryers, iron, ironing board upstairs. Steps away Shuswap Lake Provincial Park. 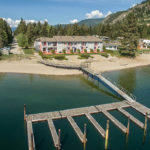 368 acres 200+ campsites Park Store & Playground Access to Shuswap Lake Provincial Park’s public beach, Park, boat launch and playgrounds. Fishing, water sports. Boat Launch access available @ Park’s main entrance. Daytime parking at boat launch. Canoeing Canoeing and kayaking are popular on the lake. Please note that lake conditions can change quickly. Pay close attention to changing weather and wind conditions. Large waves can develop quickly. Boat, canoe and jet-ski rentals are available from businesses in the local area. Cycling Only specific trails are open to bike use. Ensure all bikes stay on trails. With heavy vehicle use on park roads, ensure youngsters are supervised. Bicycle helmets are mandatory in British Columbia. To protect the park vegetation, cyclists are not permitted on the nature trails, grassy areas, or on the shoulders and banks of park roads. Cyclists are permitted on the park perimeter trail and the beach trail but must give way to pedestrians/hikers. All bike paths are gravel. 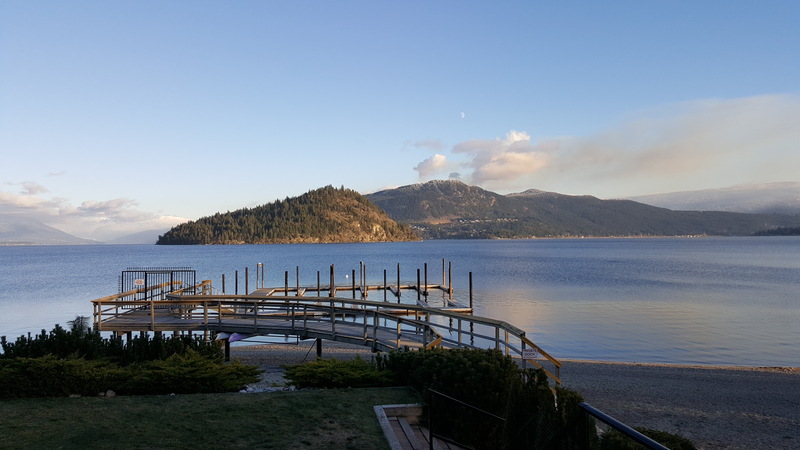 Fishing Shuswap Lake offers excellent recreational fishing opportunities for species such as lake trout and rainbow, bull trout, kokanee, burbot and whitefish. Refer to the British Columbia Fishing regulations for limits, closers, and restrictions. 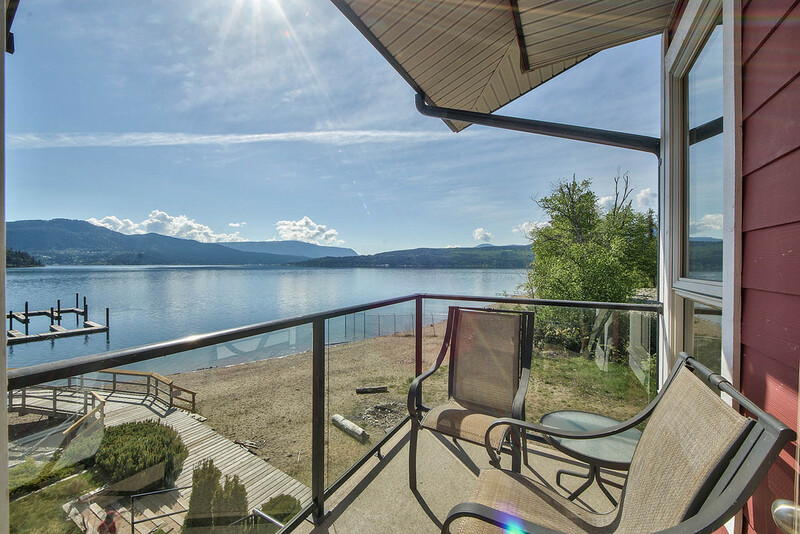 There are special regulations for Shuswap Lake. Hiking There are numerous walking and biking trails – with one self interpretation trail in the park. Copper Island has a 2.8 hiking trail for viewing surrounding areas. Access to Copper Island is by boat only. For your own safety and the preservation of the park, obey posted signs and keep to designated trails. Shortcutting trails destroys plant life and soil structure. Interpretive Programs Regularly scheduled interpretive programs may be available during July and August. The Freshwater Fisheries Society of BC has a fun, hands on, Learn to Fish Program that teaches basic angling skills to youth under 16 years old. Pets on Leash Pets/domestic animals must be on a leash at all times and are not allowed in beach areas, beach trail or park buildings. While the day-use area and beach are off-limits to dogs and other domestic animals, a stretch of beach is available adjacent to the boat launch where visitors may swim with their dogs. Please remember you are responsible for their behaviour and must dispose of their excrement. Scuba Diving Snorkelling is a popular activity in Shuswap lake. Swimming There are no lifeguards on duty at provincial parks. There is 1 km of sand and pebble beach, and a swimming area marked by buoys. Shuswap Lake is very busy. Swimmer’s Itch is present at times. It can best be avoided by toweling off as soon as you leave the water, or by applying baby oil to your skin before you enter the water. In the summer months the water temperature is very inviting for swimmers. Snorkeling is popular. Waterskiing Shuswap lake provides waterskiing opportunities. There are no motor restrictions on this lake. Your boat must have below water exhaust to operate on Shuswap lake. Campfires Firewood can be purchased in the park or you may bring your own wood.Fees for firewood are set locally and may vary. To preserve vegetation and ground cover, please don’t gather firewood from the area around your campsite or elsewhere in the park. Dead wood is an important habitat element for many plants and animals and it adds organic matter to the soil. You can conserve firewood and air quality by keeping your campfire small. Campfire bans may be implemented and some parks may use communal fire rings. Be prepared to bring a portable stove for cooking. Fires are prohibited in the day-use areas. Drinking Water Cold water taps are located throughout the park. Picnic Areas This park has a day-use/picnic area. The day-use area has tables, a change house and flush toilets. This area also offers a grassy play area, an adventure playground, an amphitheatre, a self-guided nature trail and a boat launch. The day use area offers no covered shelters, BBQ’s, fire pits, or water taps. There are no horseshoe pits. This park has a large sandy beach in the day-use area. The day-use area is open between 7:00 am and 11:00 pm. The gates will be closed and access will be prohibited outside of these hours. Fires are prohibited in the day-use areas. Pit or Flush Toilets Pit and flush toilets are located throughout the park. Will do our best to make your stay enjoyable! Large Boat Slip 11.5 ft X 31 ft plus extra boat buoy for bad / good weather parking. Ties along dock. Waverunners use front side of dock. Boat Launch truck access @ Park main entrance. Boat Launch next door. 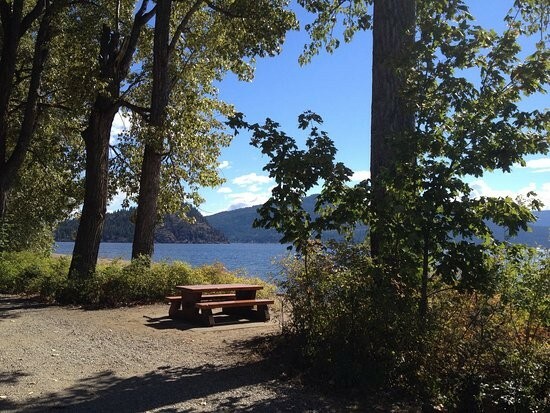 Shuswap Lake Provincial Park & Boat Launch steps away. We will do our best to make your stay enjoyable! Check-In 4pm Check-Out 10am, strictly enforced.